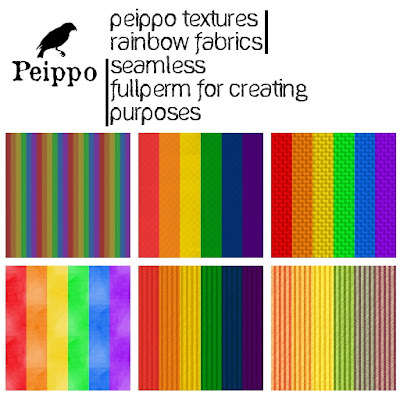 New release: Peippo Textures: Rainbow Fabrics. Six seamless fullperm textures. 50l at all of our stores, including the Pride shop.